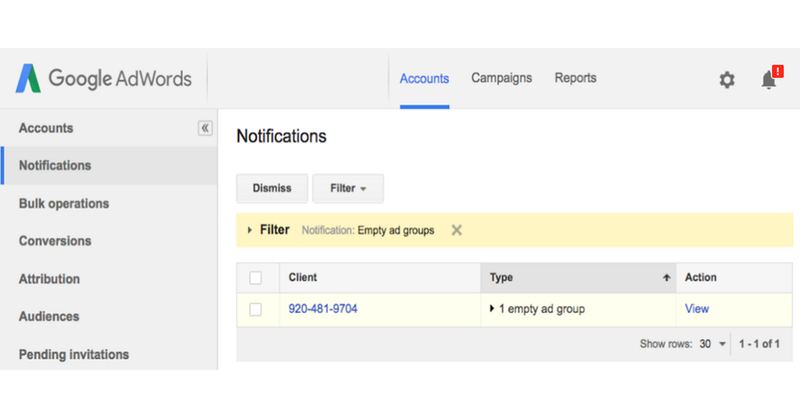 Google announced on Google+ that they added some higher level administrative features for those advertisers/agencies that manage multiple AdWords accounts. They added notifications and Administrative Owner access for manager accounts, which was formerly known as MCC (my client center). The manager account notifications allow you to "identify, prioritize, and take action on alerts and opportunities from across your managed accounts in one place," said Google. Alerts for accounts with the same issue type are grouped together, making it easy for you to simultaneously tackle issues that affect multiple accounts, they added. Managed accounts now can give Administrative Owner access to manager accounts. Administrative Owner access gives a manager account the ability to add, remove, and change access levels for users in the managed account. There is a document that explains the different levels over here, it is pretty detailed.